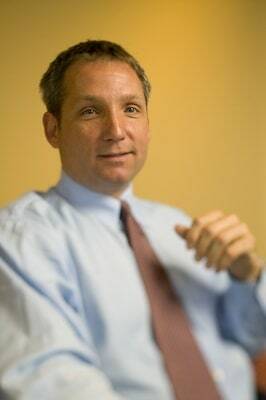 Robert J. Fleming is a partner at Katz Wright Fleming Dodson & Mildenhall LLC, a law firm in Atlanta, Georgia which specializes in catastrophic personal injury and wrongful death cases. To best serve our clients, we maintain offices in Decatur, Georgia and the Buckhead business district in Atlanta.The firm is relatively small by design but has more than ample resources to aggressively pursue any size case to conclusion. The firm employs lawyers who are licensed to practice in Georgia and in a number of different states in the South and southeastern United States. We have a proven track record of results and the financial resources to handle any significant case. This allows us to treat the practice of law as a profession, not a business. This provides you with the best of both worlds—a law firm that is big enough to attract great lawyers who have relevant and successful experience in the trenches in many high-value cases, yet small enough to be able to carefully select which cases to take and which to reject. This allows us to devote more direct attorney time and financial resources to your case. We believe that this translates into case results that rival those of any law firm in town. In other words, everything we do as a firm is geared toward moving your case to a satisfactory result and getting you the very best results possible. Please review our case results to see what our clients are saying about the results that we have obtained for them in similar cases to yours and you be the judge. We understand that you may have recently been involved in a tragic accident or event which may still be causing you quite a bit of worry and fear. This is normal and it is something that we are trained to help you with. We have been through this many times. We know all the necessary steps that you must take to come out of this in the best possible shape that you can. This can take many forms, such as dealing with insurance issues, notifying potential liable parties, treating with the right type of doctors, dealing with the financial issues that inevitably arise when you or a family member has suffered a catastrophic injury and other common issues related to a personal injury situation such as the one that you are probably experiencing if you are reading this now. This help starts right away. We carefully screen all potential new cases. Not only do we evaluate the facts of the case, we also want to know who our potential client is. In the end, we seek to only represent quality clients who have worthy cases. This, in turn, allows us to spend the extra time and resources necessary to make a difference in the quality of life for our clients and their families. We have achieved record successes. This is a simple formula; one that we are proud of and an approach to success that we will always use. While there are no guarantees in the litigation process, nothing predicts success in the future like past results and our results speak for themselves. You owe it to yourself to have a proper case evaluation and to know what your case is really worth. We welcome the opportunity to help you evaluate your case. Please call (404) 525-5150 or contact us online today for a free, no obligation telephone consultation. *Free consultation applies to personal injury matters such as dental malpractice, medical malpractice and other personal injury matters only.